The best alternative to ScreenFlick for editing amazing video easily. Looking for software that offers magnificent performance, authentic audio and video screen recording, that's used by beginning users and experts globally. 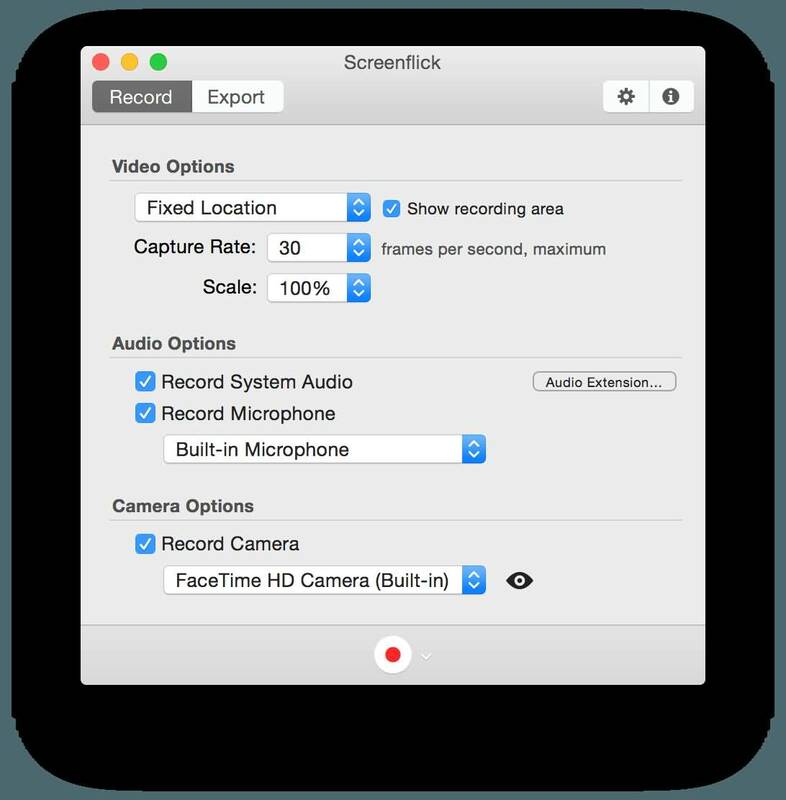 With a very wide range of screen recording options, Screenflick offers exactly what any recorders wants to create their own work of art. With this list of pros and cons, you will be know if the price of $29 is worth spending over the competitors. 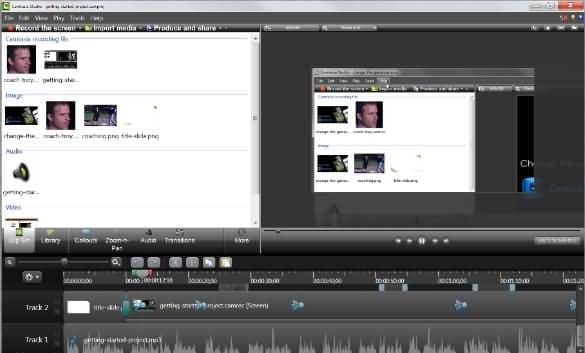 By connecting into the way a person utilizes keystrokes and mouse clicks helps Screenflick to feature the movements within the movies created. Making this very friendly for one who uses keyboard shortcuts within their recordings. Not to mention the adaptability to customize their look. Since the video quality is key, the use of full resolution on retina displays is a great tool to help the way your video looks overall. A gamer recording enthusiast dream, this feature gives you the ability to record up to 60 FPS. Time lapse movies are an amazing way to show off all of your hours’ worth of amazing masterpieces within minutes. A very handy feature for many pieces which are displayed through a portfolio. Exporting to several different file formats is all in one program, so there is no need for added or third party programs involved. A unique feature to have is the ability to remotely control with your phone and Screenflick offers it. Drawback to all the greatness they offer is the nonexistence of editing. Controlling with your phone is an awesome feature, the flip side is using an Ipad or Itouch you’re out of luck since you cannot record an iOS devices screen. Being a free to use software and available for both windows and mac platforms, gives Filmora a few more steps ahead of the opponent. Having a very user friendly interface this software gives you just about all the same things. Being free is a money saver except when it comes to the editing features. Having such a variety of features with the upgraded option for $59.99 can give you the extra look you maybe looking for. This option really would come down to each user's personal preferences. Getting started with Camtasia is not a cheap investment at $199 which does give the user a software key special to them and a license to utilize the software on two devices. Although giving users the ability to edit footage, add video effects and does have a great performance. All within a user friendly interface. Beginners can create their very first recording. The editing features are top of the line to create a professional look with each recording. At this point it would be in the hands of the artist on whether to spend this amount or choose a different route. Screenflick game recording on mac is a better quality when you compare it to the costly alternative Camtasia . But having a better screen recorder without editing features can put a limited supply of users on Screenflick.When you are relying upon adding jaw dropping videos to your portfolio be it for personal or investment reasons, Camtasia has Screenflick at a stand still. This can be the major make or break deal for a complete package which Screenflick does not offer. Maybe their future endeavors will bring the editing features front and center to give the client every tool needed for top quality recordings. Below is an example of the video quality of these two softwares.